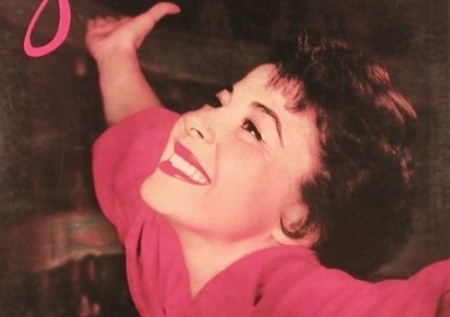 Beloved singer, performer, TV star, and recording artist, well known for her hit "Blame it on the Bossa Nova" but mostly for her career and life with singer Steve Lawrence, Eydie Gorme passed away tonight at age 84. She died at Sunrise Hospital in Las Vegas following a brief, undisclosed illness. Gorme was born August 16th, 1928 in the Bronx in a Sephardic Jewish home. Spanish and English are both natural languages for the singer. Gorme first met Lawrence in September 1953 on Steve Allen's Tonight show. They married in Las Vegas in 1958 before Lawrence was drafted into the Army. Upon his return they toured the county as “Steve and Eydie” for decades singing the music of Berlin, Kern, Gershwin, Cole Porter, Rodgers and Hammerstein and the Great American Songbook. She is survived by Lawrence, son David, and a granddaughter. Their son Micheal passed in 1986 at age 23 from a heart condition. A wrong way crash on the Schuylkill Expressway early Saturday morning has left two drivers killed. It happened just after 6:00 am in the westboundlanes of I-76 west of the Belmont exit. A Honda Accord was headed east in the westbound lanes and ran into a Chevy Malibu head-on. 25-year-old Christan Trueblood of Upper Darby was pronounced dead at the scene. 35-year-old Jamaal Moss of Richmond, Va., died on the way to the Hospital of the University of Pennsylvania. Other vehicles and passegers involved were able to escape significant injuries. Trueblood was driving the Malibu, and Moss was driving the Accord. Police are still investigating the cause the the crash. A tuber has gone missing in Bucks County today and search crews have been out since late this afternoon looking for the man. The 30-year-old man was floating the Delaware River with a group of 13 other friends when he came off his tube and went missing under the water. They were near the area of Bucks County River Country, a water recreation company. They were not doing a paid river tour but were just an independent group. The man did not have a life jacket. Helicopters, divers, and rescue boats were deployed but the search has been called off for the night. They'll be back out there tomorrow morning, perhaps with more tools such as sonar.